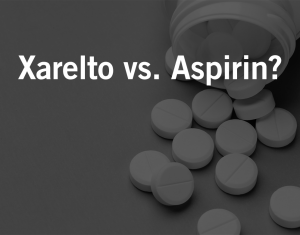 January 2, 2018 According to a study, prescription Xarelto® shows no superiority compared to over-the-counter aspirin. Recent U.S. Judicial Panel on Multidistrict Litigation statistics reveal a steady rise in the number of Xarelto lawsuits filed in federal court. Between May 15 and June 15, the increased filings were particularly high. Xarelto bleeding complications have been a problem for thousands of Americans who switched to Xarelto from the former anticoagulant of choice, warfarin (Coumadin). A new report suggests that Johnson & Johnson’s profit-churning blood thinner Xarelto may be linked to eye hemorrhaging. 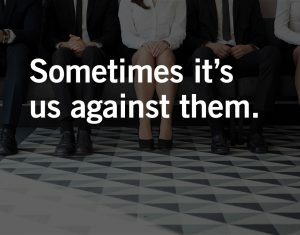 Xarelto lawsuits have already been filed across the country by people who have experienced uncontrollable bleeding while taking the drug. Unlike warfarin, Xarelto has no antidote once bleeding incidents occur. The British Medical Journal has recently published results from a new study indicating that Xarelto, as compared to the generic version of warfarin, may double the risk for gastrointestinal bleeding. A West Virginia man is suing Janssen Research & Development and Bayer Corporation, along with several of their affiliates, for misrepresenting the risks associated with Xarelto. Jermaine Tavon McMillan’s lawsuit was filed in federal court in West Virginia in February.